With the modular KVM matrix switch ControlCenter-Digital, users can operate up to 287 computers over a number of simultaneous consoles, consisting of keyboard, monitor and mouse. Depending on the chosen variation, the available 288, 160 or 80 dynamic ports (variant 80 ports in preparation) can be connected either as computer or as user port. Which type of module is connected is automatically detected by the ControlCenter-Digital. The system supports CAT cables and fibre optics even in mixed mode. 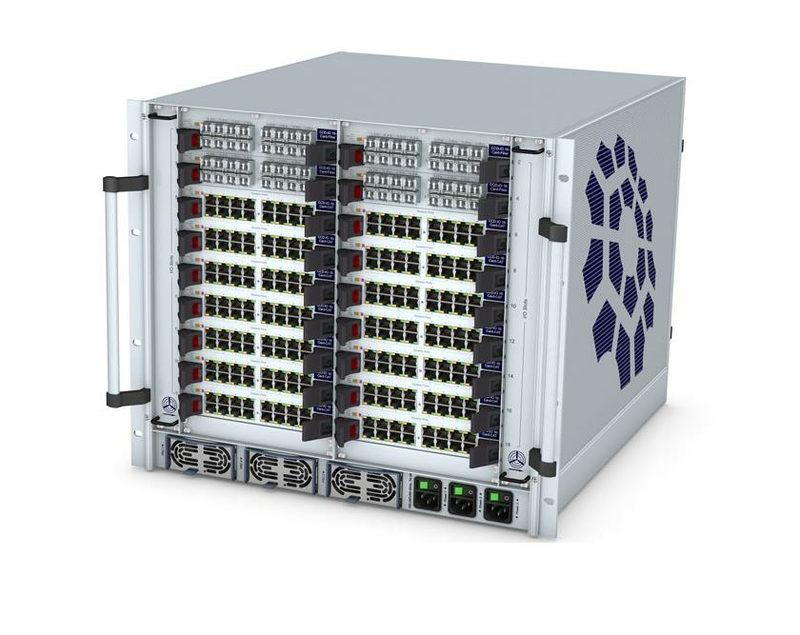 The Dynamic Port technology enables users to expand and adapt the ControlCenter-Digital even in existing IT installations. The ControlCenter-Digital is compatible with all devices of the DVICenter series. Existing KVM installations can be seamlessly integrated in this system. The device contains four different types of cards: I/O CAT cards and I/O Fibre cards to connect the cabling at both the computer and the console side, the switch card with the central processor unit and the controller card that holds the logic. In addition to combining multiple computers to a console, the ControlCenter-Digital also supports multi-monitor consoles for computers with several video outputs. Here, multiple channels can easily be combined as port groups. As always, you can administrate all functions in theControlCenter-Digital web interface. In addition to multiple screens, you can include other signals in these groups. The system also transmits and switches transparent USB2.0 signals as well as RS232. assign consoles with USB or RS232 channels. the USB pinning function enables you to hold the USB transmission on the current computer even when switching to another channel. In this case USB transmission is not interrupted but put on hold.